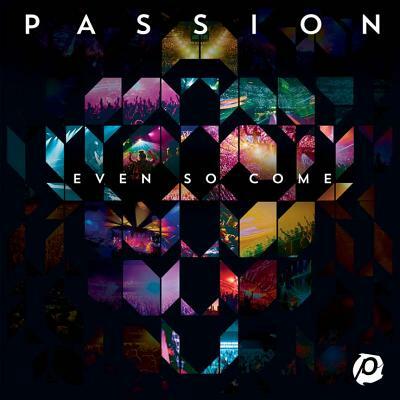 Passion Worship's album features Matt Redman, Chris Tomlin, and more! Recorded live in front of over 30,000 worshipers over 3 weekends this live Passion 2015 album is packed full of vibrant, raise-the-roof worship anthems. Featuring bestselling worship leaders: Matt Redman, Chris Tomlin, David Crowder (David Crowder Band), Christy Nockles and more, be prepared to hear fresh new sounds destined for a church near you. At the heart of this year's Passion conference was a challenge to raise $850,000 to reach 10 unreached people groups in some of the most remote parts of the world - this challenge was smashed with nearly $1.2 million dollars raised. Even So Come CD by Passion was published by Capitol in March 2015 and is our 548th best seller. The ISBN for Even So Come CD is 0602537655854. You will not be dissappointed with this CD! Such brilliant songs of praise & worship. Great variety of styles & tempos, with a fresh, anointed sound that will make you want to sing along in your car! Take a peek at some articles related to Even So Come CD. Got a question? No problem! Just click here to ask us about Even So Come CD. The price for this is shown as being reduced to £1.99, but when I try to order it is still coming up as £12.99. Please can you help. The new Passion album will feature bestselling artists Chris Tomlin, Crowder, Matt Redman, Christy Nockels and Kristian Stanfill. Recorded live in front of more than 40,000 college students, this year's annual events are held at Phillips Arena in Atlanta, GA and the Toyota Center in Houston, TX. Since the first release in 1998, Passion albums have sold over 1.4 million units while introducing the church to worship songs like "Our God,"' "Holy Is The Lord,"' "How Great Is Our God," and "God Of This City." Now Playing: Even So Come - Chris Tomlin Your browser does not support the audio element.